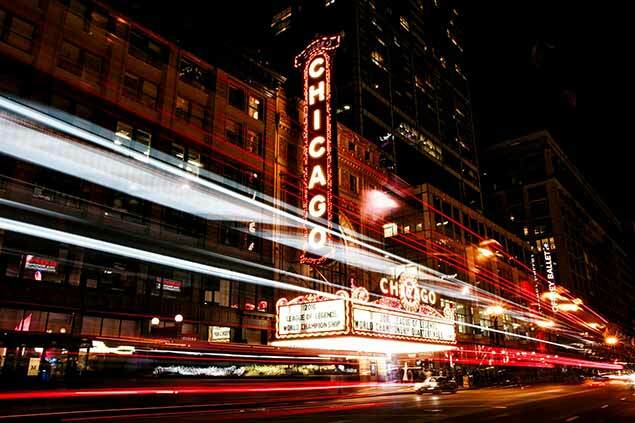 If you are traveling to or from Chicago, IL, Windstar Lines has the very best to offer you for charter bus rentals. Whether you are a school group, tour operator, or corporate group, our professional team of drivers and staff can help you plan your next trip to the Chicago area. As a family owned and operated company that has served the Midwest for over 20 years, Windstar Lines places a high value on safety, integrity, and quality in all that we do. Our equipment is well-maintained, and our drivers are second to none. All of our driving staff have undergone intensive training and background checks, and are licensed and certified according to all state and federal laws. You will find our drivers courteous, easy to talk to, and extremely knowledgeable about the area. When traveling in groups, getting to and from airports can be a real headache. With Windstar Lines' Chicago airport shuttle service, though, we take the stress out of airport transportation by providing you with an affordable, reliable service great for groups of all sizes. Not only will utilizing Windstar Lines' airport shuttle service save you the hassle, but it will also save you money. Individual public transportation can be costly when traveling around Chicago, but when you book your transportation as a group, the cost per person is significantly less. We also understand that time is money, which is why you will never have to guess when we will arrive for pick-ups, as our professionals will preschedule your shuttle to fit your group's needs. No matter what your needs are, Windstar Lines has outstanding motorcoach and bus rentals for your trip. Our fleet of vehicles includes buses and motorcoaches that can seat anywhere from 21 to 56 passengers. Whether you need to rent a 21 passenger minibus for a school group, or an overnight sleeper bus for a longer excursion, Windstar can accommodate you. Enjoy the comfort of spacious room, reclining seats, and overhead storage as you travel in style with Windstar Lines. Is your group traveling to or from another airport not listed above? No problem! Windstar Lines can arrange airport transportation to any of the region’s airports.